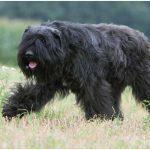 The Bouvier des Flanders comes with an origin of a farm dog breed that used to help farmers out in accomplishing different tasks, like herding livestock, guarding and pulling carts. 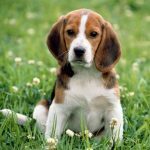 It is a very intelligent and hardworking breed which has the ability to serve as a farm dog, law enforcement, service assistance and watchdog. 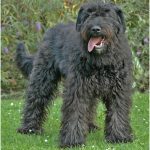 The Bouvier also passes with flying colors when it comes to obedience, herding trials, agility and serving as a companion to a family. They give a first impression of strength and power without looking clumsy or heavy. 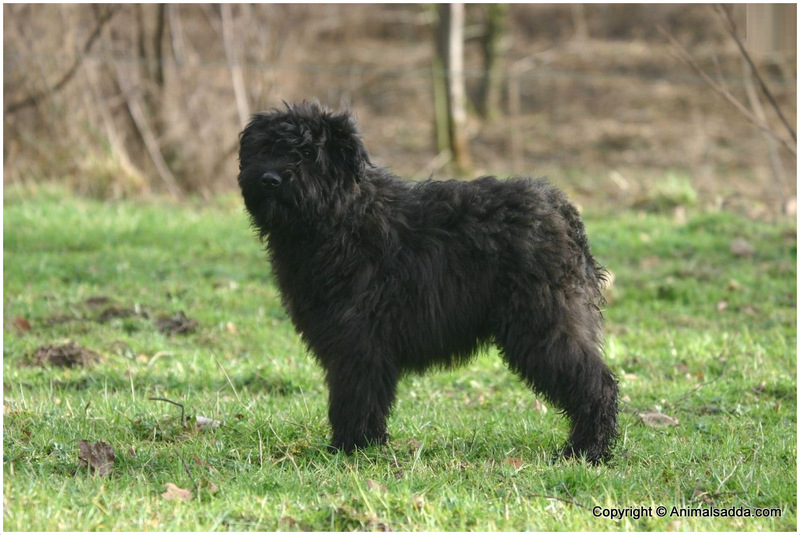 The nature of Bouvier des Flandres compels it to stay in its best shape when it is roaming around in an open place. Therefore, the ideal habitat for the dog is an open farm or a house with a large yard. 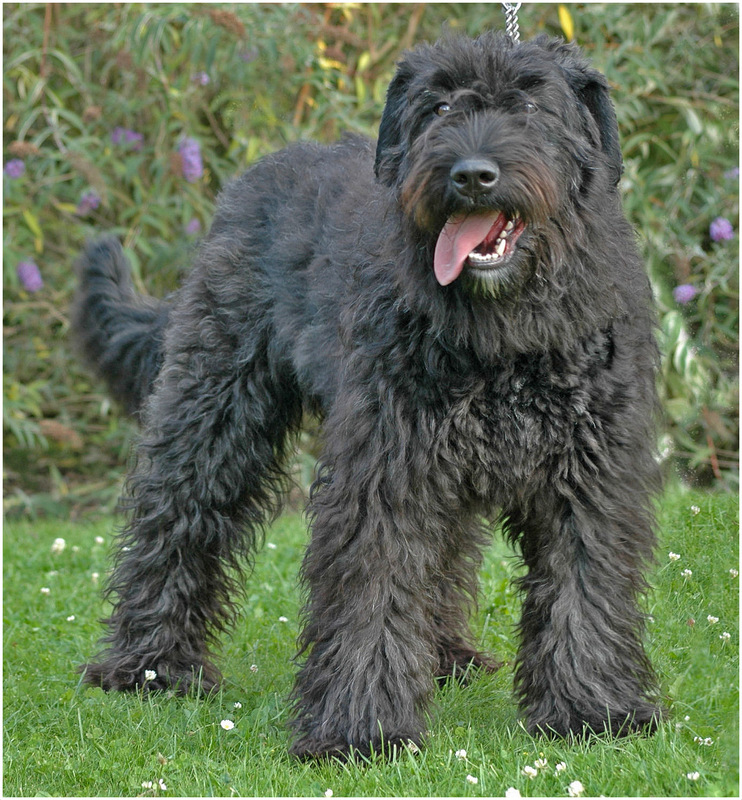 The ideal diet recommended by the vets for a Bouvier des Flanders comprises 3-5 cups of dried food per day. The food needs to be of high quality and it should be divided in the form of two separate meals. 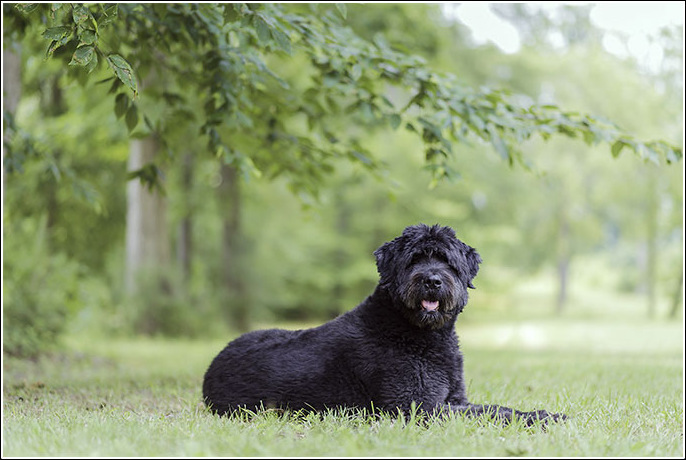 The best habitat for a Bouvier des Flanders is an open farm with a lot of space to roam around. But these days, people usually don’t live at such large places. 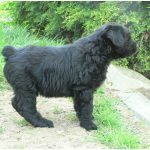 So if you are thinking about getting a Bouvier des Flandres, you need a place with a large yard. But if you exercise the dog enough, you can even keep it in your apartment. 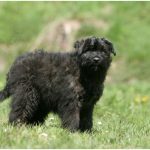 You need to know that a Bouvier is the most active while kept outdoors. 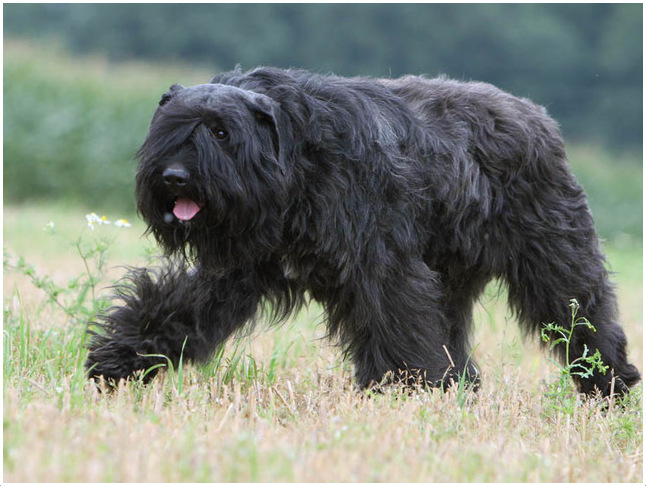 Bouvier des Flandres is a massive dog breed with some amazing traits. It remains docile and calm at all times. That’s the reason why it is known to have a very pleasant nature. The breed is considered to be great as family dogs. 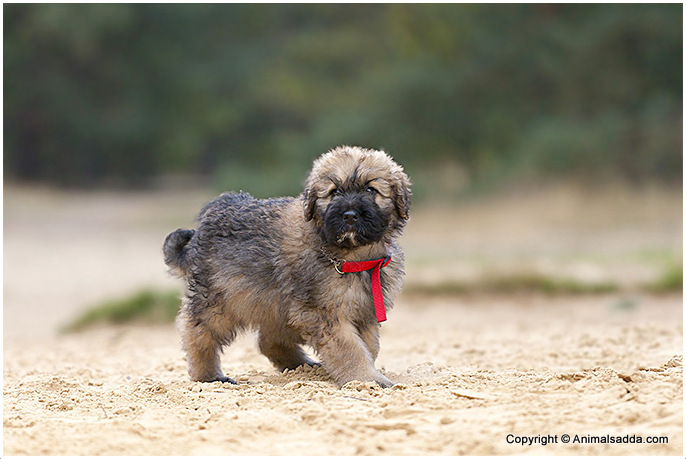 Bouvier has a low tendency to drool, snore, bark and dig, thus making it ideal to become a part of a family. On the other hand, it requires only a moderate level of social attention. 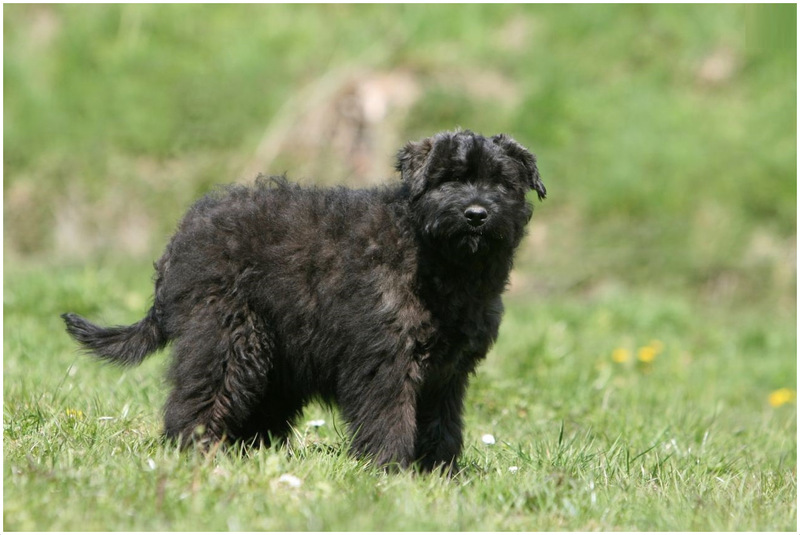 As far as the overall lifestyle of the Bouvier des Flandres is concerned, it basically is a farm dog which was originally used by farmers to perform different kinds of farming tasks. That’s the reason why the likeliness of roaming around in the open is infused into their character. The Bouvier likes to play out in the open. Its long coat is also designed to withstand harsh climatic conditions while its overall build is pretty strong and powerful. 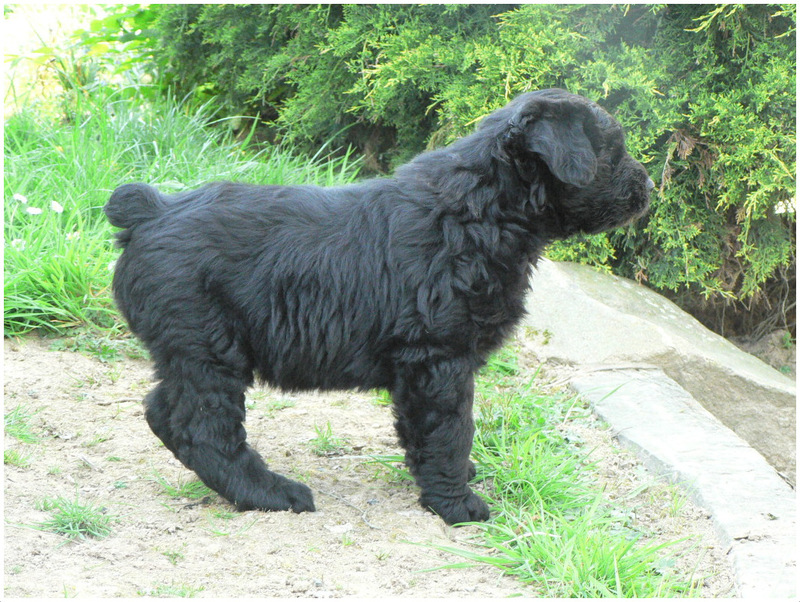 So the ideal lifestyle for a Bouvier comprises of staying and roaming around out in the open. Therefore, the best habitat for the dog is a farm or a house with a yard. 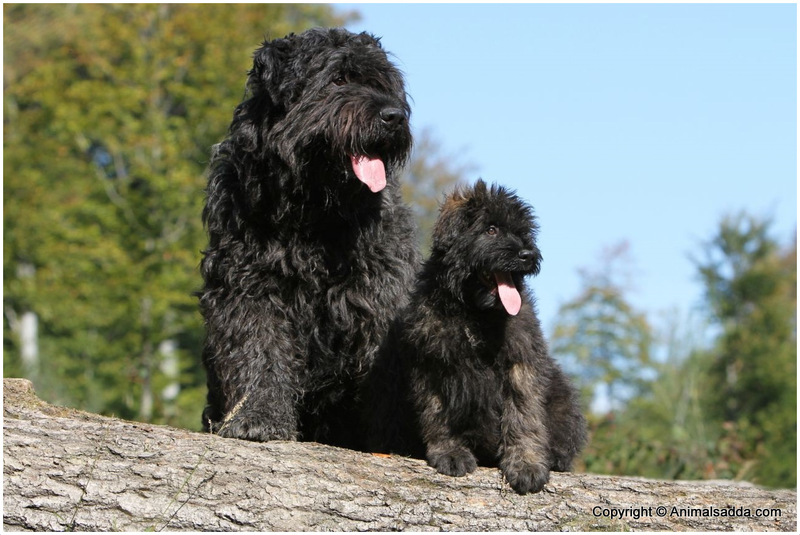 The overall lifecycle of a Bouvier des Flandres spans from 10 to 12 years. Many people are interested in adopting this breed of dogs. 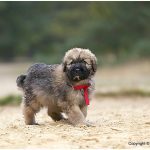 That’s the reason why different dog breeding companies all around the world have been working on the breeding of Bouvier des Flandres. It can easily be found over the internet or by visiting a dog shelter. 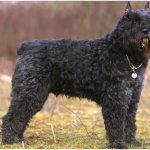 The Bouvier des Flanders is a breed with a powerful build whose first impression is of strength and power with a compact body but without a sense of clumsiness or heaviness. It has a long coat that makes it a bit furry as well. 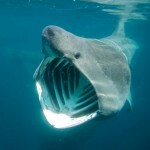 They live for a minimum of 10 years and a maximum of 12 years. 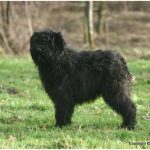 The literal meaning of the name Bouvier des Flanders refers to ‘Cow Herders of Flandres.’ The name was given due to the fact that this breed was originally used to carry out different kinds of farming tasks, including guarding, cattle herding, pulling carts and helping the farmers in a number of other ways as well. It was also used during the World Wars I & II for delivering different kinds of messages. 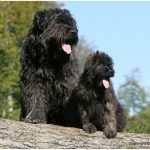 As far as the health issues associated with the Bouvier des Flandres are concerned, these dogs are normally prone to developing hip dysplasia in addition to different eye-related issues like cataracts. 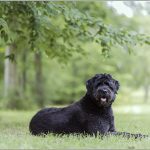 Overall, the Bouvier des Flandres is a healthy dog that shows resistance to health vulnerabilities. 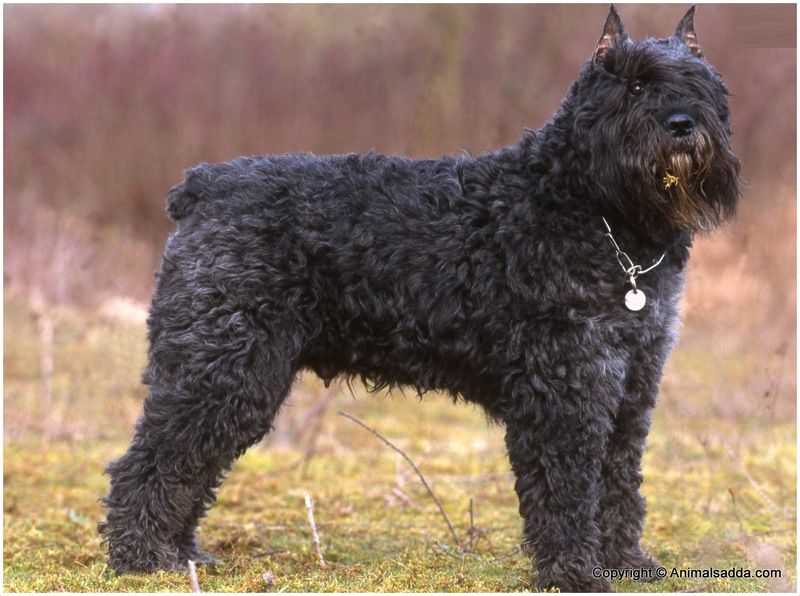 Bouvier des Flandres comes with a thick coat that allows it to resist the harsh weather conditions. In order to properly groom the dog, it is important to keep the coat short. It also needs to be kept mats free. Therefore, the Bouvier needs regular brushing in addition to trimming and clipping every once in a while. 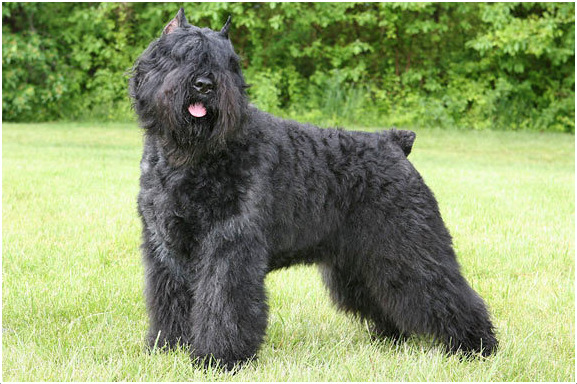 Bouvier des Flandres does not shed as it has a long coat wrapped around its body. This breed has a loving personality. 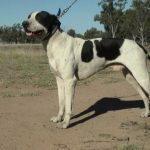 The most prominent characteristics of its temperament include being courageous, protective, loyal, intelligent, independent and gentle. 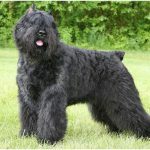 As far as the overall appearance of the Bouvier des Flandres is concerned, the dog is compact, rough coated, short coupled and powerfully built with a prominently rugged appearance. Its first impression to a person is a breed with great strength without any signs of clumsiness or heaviness. The Bouvier requires a good deal of grooming since it has a long coat which needs to be brushed on a regular basis. The dog also needs to be bathed using dry shampoo while it is also important to trim its coat three time every year.